This is the north half of a detailed plan of Liverpool published in 1890. It is incredibly detailed, showing every road name, paths within the parks, and even individual buildings in some streets (where those buildings were big enough). There’s also an index to road names down two sides, making it easy to look up a place of interest. It’s a partner to a South Sheet, also available on Historic Liverpool. There are also concentric circles showing distances from the Town Hall, each one quarter of a mile apart. 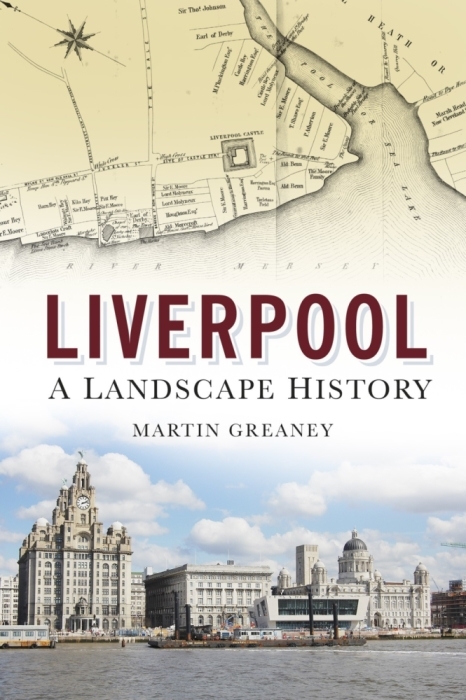 It shows the densely packed city layout at the height of the Industrial Revolution, when Liverpool was experiencing unparalleled levels of immigration from other parts of Britain and beyond the country’s borders. Details of large thoroughfares such as Scotland Road and Erskine Street can be seen in their pre-war state, before extensive redevelopment changed the face of Liverpool forever. Because of the high level of detail, the map only covers an area from Crosshall Street to Kirkdale Station, but this is one of the most important areas of Liverpool at this time in its history. No inconvenience at all – I love this kind of question! There’s a great site called the Liverpool A-Z, which is great for finding old roads, and shows the old version of Vesuvius Street in the same place as it is now, but with a lot more of the ‘grid-iron’ style of roads around it. Some, but not all of the old roads are still there, with the same names. The only confusing thing to remember is that on the old map north is to the left. Hope this helps, and do have a browse around the Liverpool A-Z! Hi, I am from Sydney Australia and I am trying to find 12 Trafalgar Street, Liverpool or Everton, on my g,g,g grandparents wedding certificate it states Sarah came from Everton Liverpool, is Everton a suburb of Liverpool? I have heard there is an old map of Liverpool with maybe Trafalgar St on it, can you help in any way. They were married in 1831 the year they came out to Australia. yes Tracey it ran off Russell Street towards Trowbridge Street paralell to Brownlow Hill would be regarded as city centre now. Any idea where Lambert St is. It occurred on 1881 and 1891 census . Lambert Street used to go through the site now occupied by Tesco on London Road (north side). It now turns east to meet Craven Street. You can see it on the lower half of this map at: Plan of Liverpool (South Sheet) 1890. The modern street can be seen on Google Maps. Thanks for your message – it’s great to hear that this site is enjoyed from across the other side of the globe! Dinorben Street was in Toxteth, to the south of the city centre, and just north of the still-existing Parliament Street. You can see Dinorben Street on the 1890 Plan of Liverpool here (it’s right on the vertical black line). These days it’s covered by industrial units, and can be seen on the History of Toxteth page here (scroll down to the map). West Derby is a large parish based around the village of West Derby to the north east. It covered much of Liverpool along with the other parishes of Liverpool, Childwall and Walton-on-the-Hill. A couple of people have been looking for this street. It must have been a very small street, as it is unmarked on some maps. It was in the block north of Tatlock Street, and on the below map this can be seen under the final ‘D’ of Scotland Ward. I’ll let you know if I find a more detailed map which actually shows the road itself. Map: Plan of Liverpool (South Sheet), 1890, centred on Evans Street. Can you tell me what type of housing was on Doon Street in 1901? My grandparents, Matthew Barr lived at 1 Doon St and Jane Matthews lived at 2 Doon St in the 1901 census. Thank you. Doon Street, in Kirkwall, was part of the large area of terraced housing in north Liverpool. The houses were uniform, with small yards behind, and the streets were laid out in a grid pattern. They were built for the large number of working class people (dockers, labourers etc) who worked in the city. I think they were a definite step up from the slum court houses of the city centre, but the council saw fit to demolish them in the middle of the 20th century, and the area is now covered with modern semi-detached houses. Hi Martin, Thank you for a description of the housing and the map. I had been able to determine where Doon Street was but the only thing I knew about the area was from my mother who said it was tenement housing. Matthew Barr was a refrigerated engine driver according to one census. Can you tell me anything about this occupation? Are there any pictures that exist of Doon Street between 1891 and 1911. The Matthews family lived at 2 Doon St in 1891 and 1901 and the Barr family lined at 1 Doon St in 1891, 1901, and 1911. I’ve not come across any pictures of Doon Street, but I’ll let you know if a photo of that area shows up. I presume a refrigerated engine driver would refer to something similar to today’s good vehicle drivers. The vehicles would be a lot less sophisticated in those days, with a compartment filled with ice, plus the chilled goods (fish? ice cream? 🙂 ). I don’t know whether ‘engine driver’ suggests he was on the railway or not. Perhaps he worked on the docks transporting ice and goods around the river front. A very intriguing job! Do you know the location of Broom Street ? My great Grandparents married in St Alban’s RC Church 1891 with address given as 5 Broom St.
I’ve not been able to find a Broom Street in Liverpool, though there is a Brook Street, not far from St. Alban’s church in Vauxhall. Could the address have been mis-transcribed in one of the records? Many thanks Martin- much appreciated. I will try and ascertain if error had been made with the street name. Do you know the location of Argos Road and any information regarding shops during 1910 as my gr-gr-gr-grandfather owned a shop here. I am trying to locate McKee Street. It is not shown on either the modern map or the 1901 A to Z. I have heard it ran between Scotland Road and Cazneau Street, near Juvenal Street. Can you help? Is there an on-line map showing it? I don’t know if you’ve already found something, but here’s an old map with McKee Street on it: (see bottom left of map). It’s right where you’d heard it was, near Scotland Road! For more of that area, my interactive map of Liverpool shows the road, un-named, running between Lawrence Street and Juvenal Street in the middle of this 1898 map of Liverpool. I am looking for a pre second world 2 map with the house numbers on it. Does anyone know of such a map of Liverpool. The earliest Ordnance Survey map I know of with house numbers is the 1950 one, so any pre-war map with them on will be from another publisher. I’ll let you know if I find one, though I don’t know of one so far. I’m trying to find any existence of Somerville Street in Liverpool where my ancestors lived. I’m expecting it to be in the Kirkdale area. However, I can find no mention of it on neither of these maps nor the Liverpool A-Z. Any help you could provide would be fantastic. I’ve been sent a very useful map by a man named Phil D. Hopefully these will help your research! You’re right, it was not so far from the docks, in Bootle. You can see Hutton Street on my map of Liverpool in 1890, it’s off Athol Street, the unlabelled road running down from the point between the I and N in “Hankin Str”. There’s a more detailed, labelled version, of Hutton Street on Old Maps.co.uk (you may have to zoom out when you arrive on that page). Nottingham Street is very close – in fact parallel – to Rose Vale. 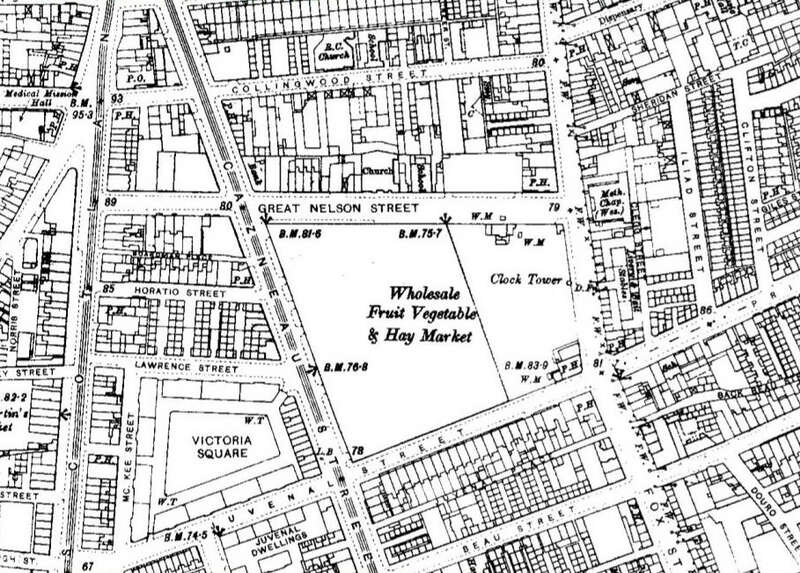 You can see Nottingham Street on my map of Liverpool in 1890. It’s unmarked, but it’s the street parallel to the north of Mazzini Street. What a great site -i’ve just found it because i’m trying to find info on a street i have found on a Mcert from 1885 . Have you heard of ” BARKER St ” , it is clearly written as that but i can’t locate where it was .The marriage was at St Silas Church so might perhaps be in that parish ? I can’t find any information about Barker Street. I wonder whether it’s a mistake on the part of the person who wrote that entry on the certificate (though probably unlikely on a marriage certificate!). There’s a Barker Street on the Wirral, but I think I’m grasping at straws at this point. Sorry not to be of more help. Sandy Lane is in the north part of Walton, and is still there today. An old map from 1893 is available from here: https://www.old-maps.co.uk/#/Map/336946/396919/12/101394, while the modern Google Map shows it here: https://goo.gl/maps/LSYgoP3Mpm72 (though note that the numbers may have changed since 1893). Hello Martin, just found your site and impressed with the amount of information you pass on to aspiring Family Researchers…. I hope you can help me with a street called Mordan Street in Liverpool. It featured in 1871 Census and my great grandfather and family lived there at the time. Any help will be greatly appreciated. I’ve had a little look but not having much success finding Mordan Street. There’s a Morden Street, which is still there in Kensington, but this wasn’t built until the 20th century so wouldn’t be on the 1871 census. Are there any other clues as to the location, such as where relatives lived which might be nearby? Hello Martin and thanks for your response. 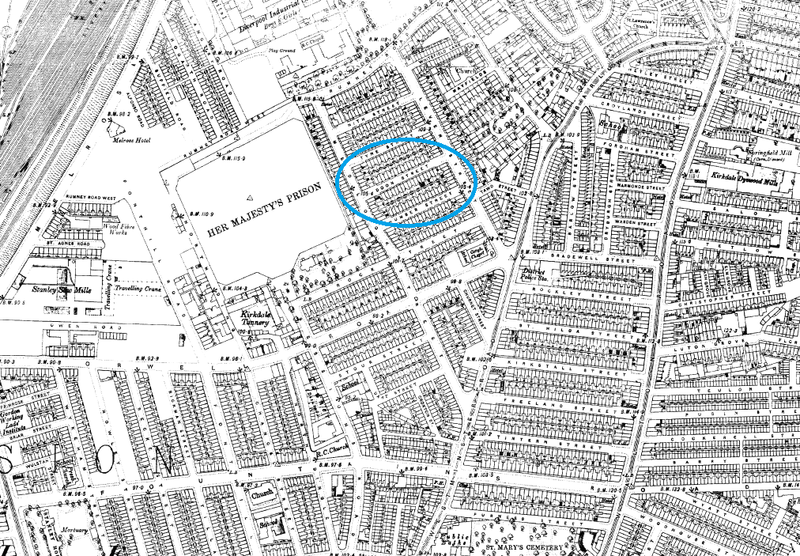 On the 1871 Census Mordan Street is shown as being in the Civil Parish of Kirkdale, the Municipal Ward of Everton and District 113. Don’t know if this narrows it down but at present I don’t know of any relatives living nearby. Hi I am looking for Canada Place Kirkdale. G.G.grandfather was there in 1881 census any help would be greatly appreciated. I’ve been trying to find a street listed on the 1851 Census. The hand writing is not clear but it looks like Burgpelt or something similar. There are references there so you can see which square of the map they’re in. I’ve looked through my own maps, and the wonderful old-maps.co.uk but can’t see one where that white space is labelled. The old-maps.co.uk site has an 1891 map with the church on it, so the map you saw must be earlier than that. I’ll keep my eyes peeled in case another maps crosses my path. Very interesting history about the land donation. Hi there, I am trying to locate the street my grandad was born in Liverpool and the only place I can see it listed is a webiste on google but when you click through it doesn’t work. The road is Eastwood Road and I think it was off wavertree road L15 if anyone can help? I’ve not had much luck finding orthall. Could it be a misprint that is meant to say Northall Street? To be honest I’m not having much better luck with that but there are a few roads across England with that name, and that might give you a lead. Hi Martin. Have only just found this great site. How helpful it is. I noticed an enquiry in 2016 from Declan looking for Broom Street. My Grandmother came from there and it is a tiny street right next to St Albans RC Church, which is not noted on map. The next Street was Birch Street. A bit late I know but maybe of help for future queries. Hopefully Declan will see your comment and be able to spot it. Yes, it seems difficult to find information on it! The old maps show it marked as a laundry all the way back to 1891, when the area was only just being built up. The boys and girls signs are common on old school buildings, but I’ve never heard of the need to separate boys and girls in a laundry (unless they were going there to wash the very clothes they stood up in!). Perhaps it was intended as a school, but never used as one, or indeed there was some reason for boys and girls to use this establishment (and separately! ).